Instagram Stories are already used by more than one billion users worldwide, and that number is growing every day. Do brands use Instagram Stories? How to take an advantage of the new Instagram feature? Instagram Stories are already used by more than one billion users worldwide, and that number is growing every day. 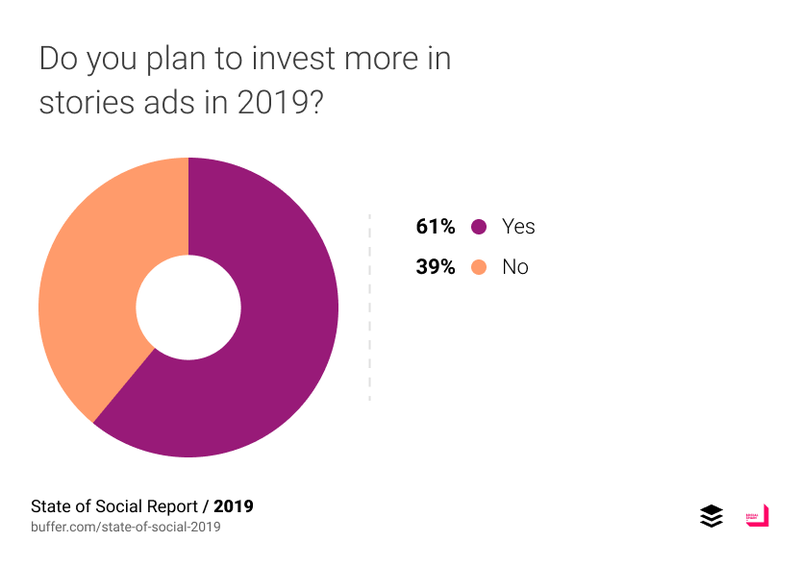 This is why 2019 will certainly be a year of intense development of advertising formats for Instagram Stories. Why do brands use Instagram Stories? 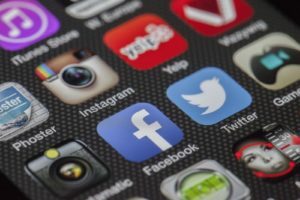 This year’s report of the Buffer app and Social Chain showed that use of Instagram company profiles increased, and nearly 60% of companies consider that these activities were effective. 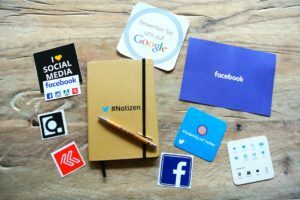 This happens not only because advertising formats – embedded in the feed of private profiles Stories – use the organic potential of this tool, but also because the cost of conversion in paid content promotion is still extremely beneficial compared to promoting regular posts. Instagram saw the potential of this feature and they’re still working on the development of Stories. 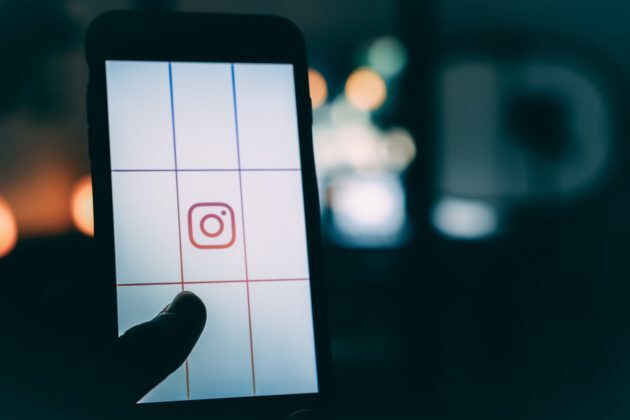 A few weeks ago, the world heard the news (2) that all brand profiles will be introduced to the feature of links in Instagram Stories (so far only business profiles from over 10,000 followers have been able to use it). 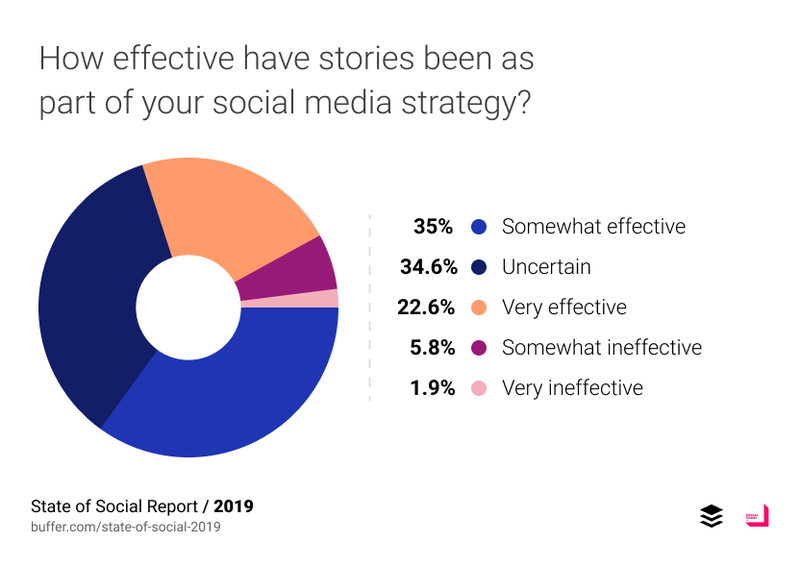 This is great information for brands, that want to promote their content in Stories. 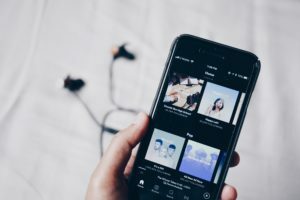 How to take advantage of linking in Instagram Stories? First of all – increasing sales. The introduction of this feature is a great information for companies operating in the field of e-commerce. 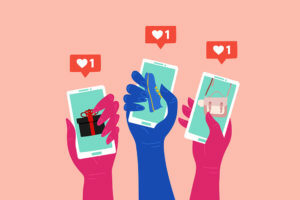 If your brand sells its products in online stores, the content contained in Instagram Stories can be placed as an inspiration (use for example, animated moodboard with product packshot). The user – after scrolling the Stories up – will go straight to the website, where he will be able to buy the product . Secondly – this feature can be a great idea for teasering news on a company blog (why a blog is important to business? Read an article here). In Instagram Stories, you can include, for example, a screen with the title and introduction or a title picture. If the user is interested in the content, he will be able to move to our blog with just one swipe. Using Google Analytics, you can easily measure the effectiveness of these activities and assess whether they bring the intended results. Moreover, it will certainly help brands organizing competitions on this platform. While on Facebook, we can use the functionality of “Notes”, which is ideal for publishing the competition terms and conditions, Instagram (so far the only) option for making it available to potential participants was to post a link in the profile’s bio. After introducing the functionality of links in Instagram Stories, this function will allow you to transfer the user to the page with the rules of the competition by the Stories saved in the profile – without having to edit the link in the profile description.